One night in Bangkok.....: Who ya gonna call? Many Thais believe ghosts are wandering tsunami-hit beaches, spooking taxi drivers, making the Andaman Sea hungry for more victims, and jinxing an economic recovery for devastated resorts. Fish sellers and seafood restaurants are suffering a severe downturn in business along the west coast because many Thais are refusing to eat fish, amid fears that sea creatures may have nibbled human corpses swept out to sea. "Foreign tourists will come back to Khao Lak, but many Thais and Chinese will not want to go there because so many people died, and so many ghosts are there," said Somchai, a taxi driver, as he drove along Phuket's sleek, undamaged highways. Thais and foreigners, however, are fueling ghost stories by retelling rumors and hearsay. "Did you hear the one about the taxi driver, who picked up passengers who turned out to be ghosts?"" That question, spread through conversations, e-mail and the Thai media, has become an urban legend in Thailand. Most versions of the tale describe an unidentified Thai taxi driver who picks up a "foreign tourist" and his Thai girlfriend, for a taxi ride to Phuket's airport or elsewhere. When the taxi arrives at the destination, the driver turns around and freaks out when he sees the passengers have already disappeared. 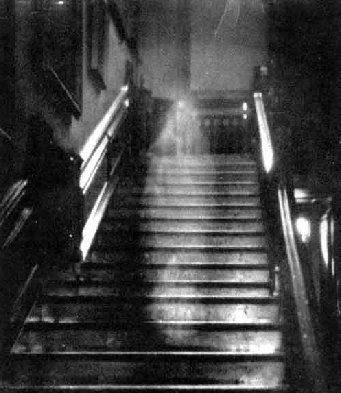 Many Thais who hear the story, don't laugh, because they are extremely fearful of ghosts. Throughout Thailand, most perceived haunting and poltergeist events are believed to be caused by people who suffered "violent deaths" -- which poses a big problem for superstitious Thais pondering the horror and brutality of the tsunamis. "If the ghost has no family here, maybe they won't come back," said Pawn, a shopkeeper who said she was not too worried about ghosts from the tsunami, though she "heard" ghosts several years ago after one of her relatives died. About 95 percent of Thailand's population is Buddhist, and the atheist doctrine teaches that all people are repeatedly reincarnated, regardless of their religion. Each time a person dies, their spirit spends an unspecified amount of time as a conscious ghost seeking rebirth. As a result, Buddhist monks traditionally chant special prayers to dead spirits, urging them to stop wandering the places where they died, and to detach themselves from loved ones -- so the living can enjoy peace, and the dead can be reborn. Many Thais also integrate pre-Buddhist, animist beliefs into their perception of the world, and construct doll house-sized "spirit houses" in and around their homes and offices where they make daily offerings of food, water and prayer in exchange for protection from any unseen beings who choose to dwell there. Karaoke + John Denver = Angry Weenus! Godzilla says it's Hammer time!